Nowadays families have lots of things on the priority list and have to work accordingly. In such condition shortcuts and answers are always a temptation. No one wants to spend extra time on a cleaning project. There are few house cleaning products that promise quick cleaning solutions. Yet, they do it with harsh chemicals. So, the risk of a family’s health could cost more than hiring a professional. Make a Clean Habitat by Opting Green Cleaning Services! Experts say the air we breathe is fragile and precious. If we take any steps against this, we can make our air free of toxins which will help us and the planet. Harsh chemicals used in cleaning products also end up in our water, so the less we use them, the better off we are. Pennsylvania families have always been at the forefront of seeking solutions to live healthier, fuller lives. Their hold of green cleaning is no surprise. We know that riding a home of toxic chemicals, like those found in household sprays and laundry detergent can improve your indoor air quality. Whether it concerns you about your health, that of your children, your pets or your aging parents, ECO-friendly solutions can help reduce allergy and illness producing irritants. Children, elders, and pets are more exposed to the toxic effect of poisonous chemicals. According to the National Safety Council, says poisons are hiding in kitchen cabinets, hallway closets, basements or garages in the form of cleaning solutions. These cleaning solutions may contain ammonia, chlorine, formaldehyde, sulfuric and phosphoric acids, lead, lye, and phenol. The solution bottles will probably show warnings about how the cleaners may irritate the user’s eyes, burn skin and cause respiratory harm. Usually found in air fresheners, formaldehyde, it is a highly toxic agent. Some people use phenol to kill bacteria and fungi and are a chemical found in disinfectant and antiseptic products, mouthwashes and throat lozenges. Phenol in large amount can cause irregular heartbeat, skin burns, liver damage, and death. Not all ingredients are required on household cleaning products. Unlike drug products, retail cosmetics, and food; cleaning products get a pass, with a few exceptions. 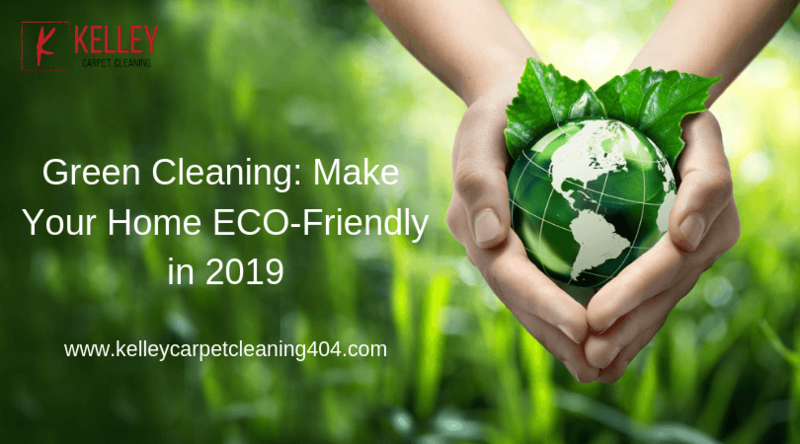 The good news is, most ECO-friendly, green products list their ingredients, so you know what you are bringing into your home. In case you have questions regarding green cleaning, you can call the professionals at Kelley Carpet cleaning. We also provide green cleaning services in Newport News, Yorktown, and Williamsburg. Reach us at (757) 504-2267 for more details. You can follow us on Facebook for service and offer updates.